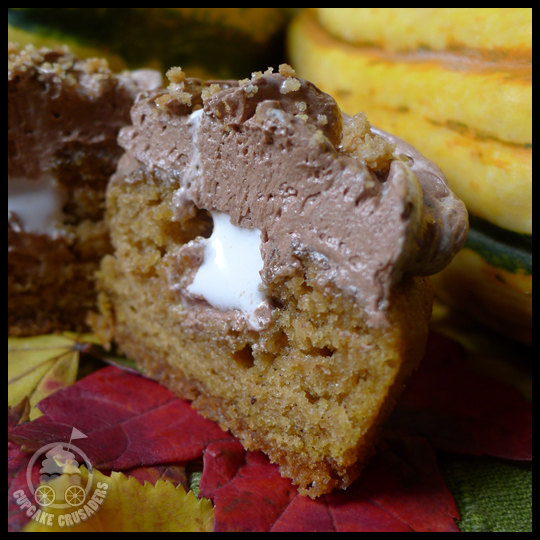 This entry was posted in Baking, Cupcakes and tagged chocolate buttercream, graham cracker crust, marshmallow fluff, pumpkin, pumpkin spice, S'mores by Crusader Elisa. Bookmark the permalink. That sounds delicious! 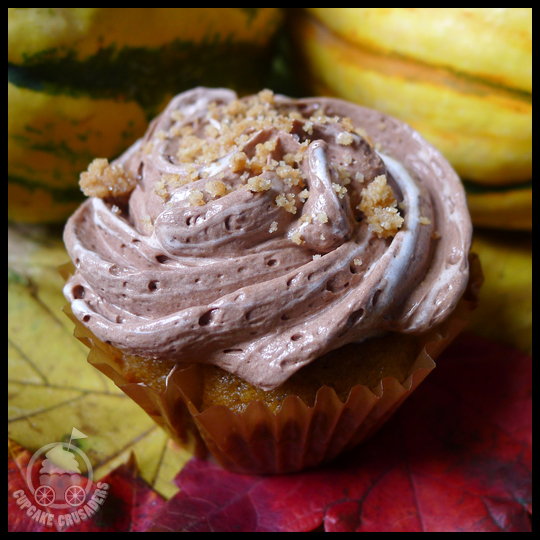 A perfect blend of two favorite fall treats. Love the look of these but how do I get the recipe?